After stumbling upon the movie Hot Summer Nights under new selections in my Amazon Prime account, I became equally enthralled and obsessed with its lead actor, Timothée Chalamet. 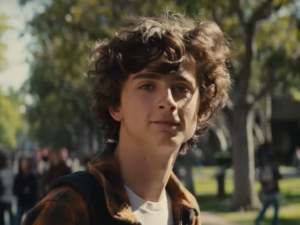 I’m a bit behind the curve, I admit, since Chalamet’s real breakout role was in Call Me by Your Name, which came out something like 10 months ago – so you could say I’m late to the party. The film earned him an Oscar nomination for a Leading Role, a substantial fanbase, and, while Hot Summer Nights got less than favorable reviews on Rotten Tomatoes, a source I trust with my life, it was clear that Chalamet is on the rise in the acting world as a committed and driven young talent. 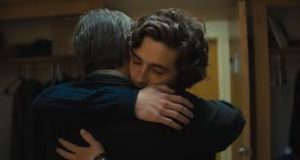 Shortly after my Amazon Prime discovery, I started seeing ads for and hearing about Chalamet’s newest movie, Beautiful Boy, which opened a few weeks ago in the US. I quickly penciled it in my calendar as part of my weekend plans. Let me say, my obsession with Chalamet only grew after seeing the film. The movie is based on the acclaimed memoirs of David and Nic Sheff, father and son respectively, who chronicle their personal experiences with addiction. Nic, who is now 8 years sober and works to spread awareness about addiction as a disease, became hooked on crystal meth as a teenager and began living on the streets, going in and out of rehab. Both Carell and Chalamet expressed an added pressure for them to portray real people, but Nic and David themselves, upon seeing the final cut, stated it in an interview was overwhelming to watch because it was so realistic and true to their reality. 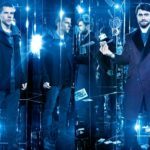 Moving forward and backward in time, the film makes a wise decision in seeking to tell the story as nonlinear, since addiction rarely follows a steady and reliable path to recovery. As David, played by Steve Carell, struggles to understand how his son spiraled out of control, he thinks back to Nic as a child who loved to surf, draw, and write but has since slipped away. The concept of “everything” is a testament to David’s devotion to his son- he tells Nic that all the words in the English language don’t measure up to how much he loves him – he loves him more than everything. Carell is exceptional in his performance, articulating a mix of helplessness, desperation yet undying love for his son, despite the pain Nic had caused his whole family. When he gets a call in the middle of the night that Nic is in a New York hospital, David gets on the next flight out of San Francisco. 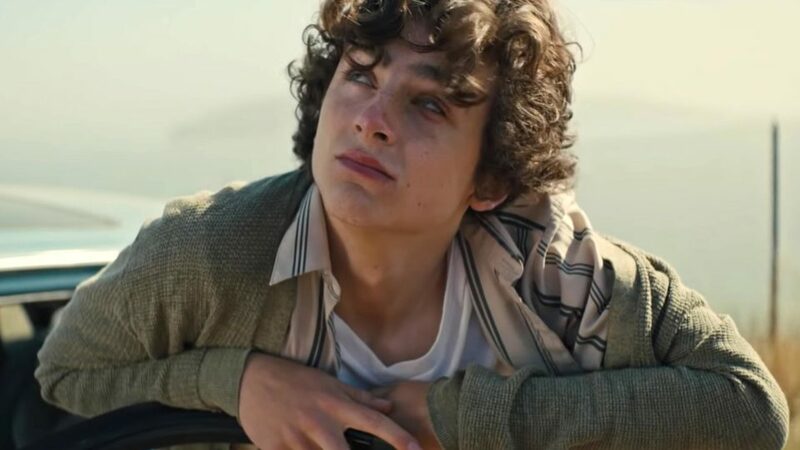 Chalamet also plays Nic very convincingly, teetering back and forth between broken, weepy apologies and explosive fits of anger and frustration. He demonstrates the stark contrast between a sober Nic that smiles and laughs and wants his family to be proud of him, and a Nic that shoots up in a bathroom stall and breaks into his own house. There are precise moments when the audience is hopeful that Nic was able to turn it around. He enrolls in college, he checks into therapy, he moves back home and plays with his two younger siblings. But each time, he succumbs to the power of drugs, even going so far as to stealing money from his kid brother to buy them. An especially haunting scene that sticks with me is when David finds Nic’s journal that is filled with disturbing drawings of creatures with needles, scribbles of swears and descriptions of how he now sees the world in “technicolor” with his use of drugs. The use of drugs is never glamorized, rather it is painted as the monster it is; one that destroys seemingly normal families and sends its victims down a rabbit hole, one that is increasingly difficult to climb out of. 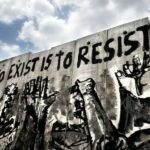 It opens up a forum for discussion on addiction and how it can happen to anyone from any walk of life. I did think to myself that this story seems to exist in a sort of vacuum. Nic’s friends are never introduced, David is never at work, there a very few important characters that not part of Nic’s immediate family. This thought did not stop me from being captivated by what I was seeing. I recommend seeing this movie not only for its performances by the leading characters, but since it puts a face to the nationwide epidemic of addiction. The credits of the movie reveal that drug overdoses are now the leading cause of death for Americans under the age of 50 – an astounding and humbling fact.